The best service, products, price & advice! WUNDAGUARD has over 25 years of "hands on" experience of running a successful fabric protection business. Not only can WUNDAGUARD supply you with the finest fabric protector on the market today, we also provide market leading upholstery and carpet cleaning services. 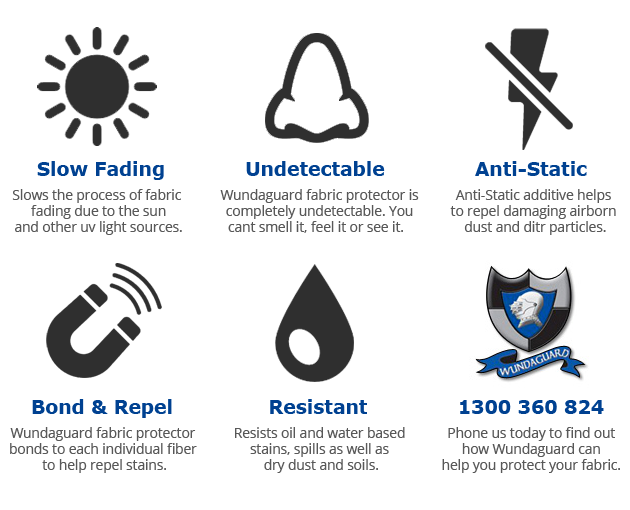 Call WUNDAGUARD on 1300 360 824 to arrange your fabric protection! WUNDAGUARD - Your fabric protection experts.